The Baltic Triangle is the fastest growing creative and entertainment hub in Liverpool. Its quirky aesthetic and bohemian flare have attracted artists in all forms; from food and drink specialists to street artists, musicians to entrepreneurs - the Baltic Triangle is open to all. With an endless choice of unique events, festivals, markets and bars, it’s no surprise that it was voted number one in the “20 coolest places to live in Britain” in The Times. A once desolate and neglected area, The Baltic Triangle is now a thriving and vibrant hub of versatile creative talent. This summer there is an incredible line up of events and festivals on offer. Here’s what we think you shouldn’t miss. Tickets are on sale from £11.25. Showcasing some of reggae’s most exciting new talent whilst also playing host to internationally renowned bands. Over the two days, there will be a selection of live music, DJ’s, food and drink, pop-up stalls, art exhibitions and workshops for all the family to enjoy. Humanise is an inclusive social event that encourages people from all walks of life to have a sit down meal together and learn about one another. This event is hosted by a number of local charities, non-for-profit, and voluntary organisations and guests are only expected to pay what they can afford to donate. Humanise invites people of all genders, race, age, status, belief and background to come together as one; a unique take on canteen dining, strangers can enjoy each others company over good, whole, hearty food. Liverpool Calling Festival will include a full day of live music involving loads of nationally-recognised artists alongside Liverpool’s best emerging bands. It has also been nominated for Best Metropolitan Festival and Best Grassroots Festival at the UK Festival Awards. Tickets are on sale for £11.25. 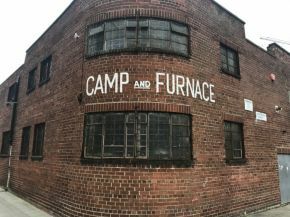 A spin off from the popular show, this event will see 10 acts take the Camp and Furnace stage acting as their favourite musicians in the hope of winning the audiences vote. Each act will be accompanied by professional backing dancers from Britain’s Got Talent semi-finalists MD productions. This charity event will require the acts to raise a minimum sponsorship that will be donated to Alder Hey High Dependency Unit for play resources. Celebrating its 20th anniversary, this culture packed festival will be showcasing the richness of Arab culture. An array of visual art, music, dance, film, theatre, literature and special events will be on display at multiple venues across the city. The festival has been awarded extra resources and funding by Culture Liverpool as the city celebrates a decade since it was awarded the European Capital of Culture title. Tickets are on sale from £6. Ultimate Power is a night dedicated purely to the greatest songs ever written. The event will be showcasing all of the most popular ballads from the past few decades as part of a communal appreciation of the classics. Musical compositions from the likes of Queen, Phil Collins, Bon Jovi, Whitney Houston, Cher, Meat Loaf and Bonnie Tyler will be featured. The playlist selection is unlikely to be played at any other club night in Liverpool, making this a totally unique night out. Tickets are on sale from £5.50. We’ve also heard rumblings of a secret arcade cafe opening at Toxteth TV. Watch this space for more news on the promised opening in mid-June. The venue called VideOdyssey will be hidden behind a video shop, where you have to ask for the right movie to gain access. Filled with all manner of 80s delights, including original cabinets for Double Dragon, Donkey Kong and Space Invaders, to mention but a few. This will be a must find experience for all gamers out there.